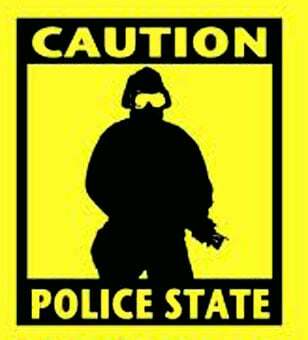 Post-9/11 repressive legislation made America more of a police state than earlier. Obama wants more on top of current freedom-destroying laws, executive orders, national security and homeland security presidential directives, military orders when issued, and extrajudicial diktats at his discretion. Most disturbing is too few Americans realize or even care about their fundamental constitutional and international law mandated rights disappearing in plain sight. America never was a democracy – less so now than ever with monied interests controlling everything, rigged elections for top government posts mattering most, ordinary people’s rights and wishes entirely ignored, and repressive laws cracking down hard on nonbelievers. If that doesn’t define a police state, what does? Proposed new legislation Obama wants passed intends driving another nail in what little remains of a free society. The Cybersecurity Information Sharing Act (CISA) targets fundamental civil liberties for elimination, including scant privacy protections left. It’s repressive CISPA (Cyber Intelligence Sharing and Protection Act) in new form. The earlier legislation was introduced in 2011, died, resurfaced in 2013 and went nowhere again – because of overwhelming public opposition. It would have given government and corporate interests unlimited access to personal/privileged information online. It would have permitted transferring private communications to government agencies and let them share it with business on the false claim of protecting cyber security. Throughout his tenure, Obama waged extrajudicial cyberwar. In response to CISPA 2.0, the ACLU said it would compromise privacy rights. CISPA does not require companies to make reasonable efforts to protect their customers’ privacy and then allows the government to use that data for undefined ‘national-security’ purposes and without any minimization procedures, which have been in effect in other security statutes for decades. It would permit destroying civil liberties on the bogus pretext of protecting cyber security. In response to proposed CISA legislation, the ACLU, Electronic Frontier Foundation, Project Censored, the Media Freedom Foundation, the National Whistleblower Center, and dozens of other civil liberties and open government groups wrote members of Congress strongly condemning the proposed legislation. Proposed provisions violate core constitutional protections. They circumvent fundamental rights on the pretext of cybersecurity. Separately, the Electronic Frontier Foundation (EFF) said CISA provides no funding for security research or training federal government personnel – nor do anything to enhance computer and network security. Instead, unconstitutional information sharing is proposed, circumventing civil liberties, including privacy concerns. It “requires real time dissemination to military and intelligence agencies, including the NSA.” Online and other privacy rights are entirely ignored. Information gotten can be used for purposes unrelated to cybersecurity – including “a wide range of crimes involving any level of physical force,” said EFF. Corporations will be able “to launch countermeasures against potentially innocent users” – with no accountability for potential harm caused. They’ll be immune from lawsuits demanding damages for unjustifiable reasons. House members passed the Protecting Cyber Networks Act in late April. Click this link. Email your senators and House representative. Send them the message EFF suggests or your own. Tens of thousands of concerned Americans got CISPA rejected. “(W)e need your help again,” said EFF. Act now before it’s too late. Tell your senators and congressional representative to oppose CISA. Help kill this Orwellian freedom destroying measure.